Angel investor | Turner, Hopkins. Here’s a cross-posting from our sister Angel Academe blog. 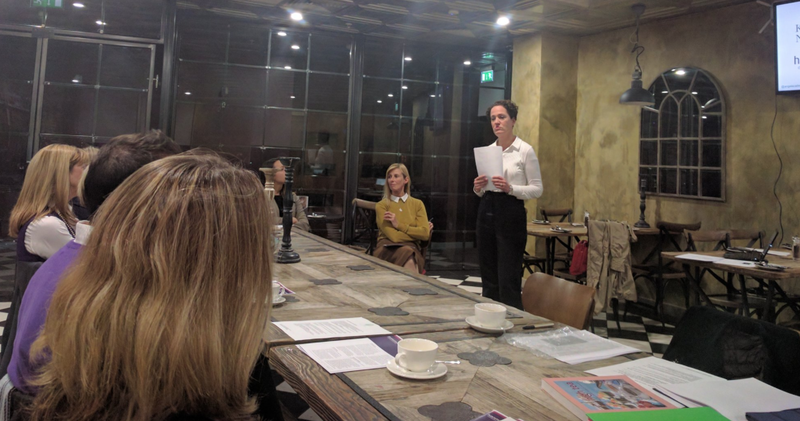 On December 28th we held the second of our AA North sessions, exploring ways in which we might expand into the North West and bring together a group of local women investors (well, mostly women). The event was generously hosted by The Landing in their beautiful 7th floor room overlooking Media City UK at Salford Quays and chaired by our good friend Gaynor Dykes. Attendees came from finance, law, the startup sector and healthcare — an eclectic group whose engagement across the afternoon highlighted the real opportunities here. Sarah kicked of the afternoon with a brief introduction to Angel Academe’s work, outlining everything we do before going on to spell out the opportunity for potential investors. Self-confessed serial investor Simon Thorpe was up next. An accountant by training, Simon has been angel investing for 8 years, and is principally interested in the tech space. He’s also invested in an unusually high percentage of women-founed companies. He pointed out that the previous week both the Chancellor and Shadow Chancellor had been talking about the importance of the digital technology sector in the UK — at last! Simon talked through some of the lamentable diversity figures in the sector that regular readers will be all too familiar with, including that just 15% of European startups have a female founder and less than 3% of VC-backed companies have a woman CEO. 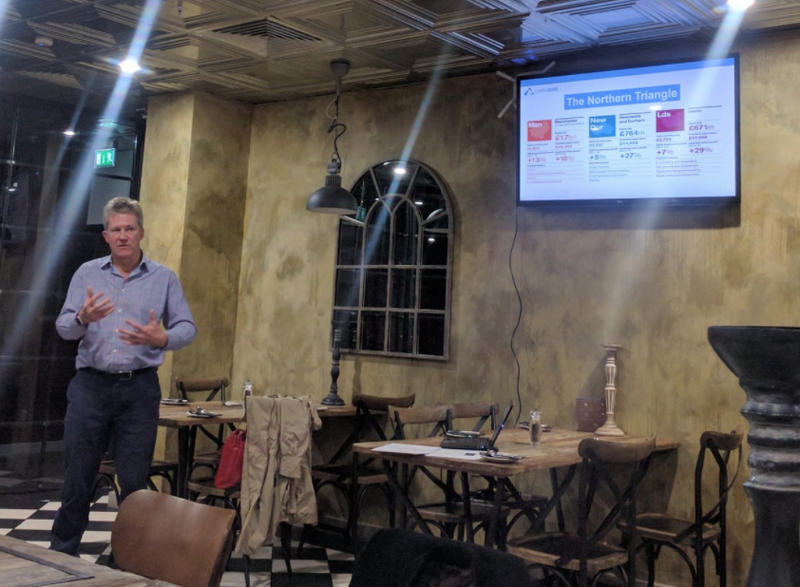 Simon talked about what he looks for in potential investments: defensible IP, a great idea, a great team, a sound business model and robust financials. But in the end he’s mostly looking for a visionary founder with total belief and commitment. Then we had chance to look at the situation from the point of view of a female founder. A trained phamacist and oncologist, Clare Nolan has founded her own company, Tomorrow’s Medicines & YourTreatmentChoices.com with the aim of giving serioiusly ill patients faster access to clinical trials. Clare was entirely new to the world investment when starting up and has had something of a baptism of fire. Ultimately angel investment has played a significant role in growing the company, alongside a smattering of grants and a fund investment. Clare was keen to point out that of course such an investment route comes with caveats and dangers. Some investors are relatively hands off, but others can be demanding and struggle not to interfere; the key as an entrepreneur is to know when to push back. She also pointed out that being a female entrpreneur in technology could still be a lonely place to be. We finished the afternoon with a lively and open discussion about next steps and opportunities. Many thanks again to Maya Dibley at the Landing, and to Simon, Gaynor and Clare for speaking. We look forward to being back in the New Year. Yes, it’s been a little quiet here of late. Turner Hopkins has been on holiday. But we’re back and at it! Here’s a cross-posting from our sister site, Angel Academe. The thorny issue I was actually mulling over on my way home from the National Investment Summit on Wednesday was whether increasing the number of women entrepreneurs is the best way to increase the number of women angel investors, or if it’s the other way round. That is, by increasing the number of women angel investors, more women entrepreneurs get funded and you encourage more women entrepreneurs. Of course it’s both. More women angels will encourage more women entrepreneurs and more will get funded. They then may go on to become angel investors themselves. Obviously it’s a little more complicated than this, but you get the picture. It’s a virtuous cycle thing. I’d just been speaking on a panel session at UK Business Angels Association’s annual event to discuss all things relating to angel investing and entrepreneurship and recognise the best investments of the year. See here for the winners. Alongside me on the panel was Jo Anne Miller from Golden Seeds in the US and Bev Hurley CEO of YTKO and angel investor. We were very capably moderated by Modwenna Rees-Mogg, founder of AngelNews. The topic we were discussing, as you may have guessed by now, is how to attract more women into angel investing. And it’s a pretty hot topic. Angel funding is the biggest source of risk capital for startup and early stage businesses in the UK. Over £50m is invested by angels annually. According to UKBAA figures, we women only represent 5% of angel investors, although we control a very healthy proportion of the net wealth in this country, so just imagine what could be achieved if we could tap into the resources of more high net worth (HNW) women? How best to go about it is an important subject therefore. Do we focus our scarce resource on encouraging more women to take up entrepreneurship with the expectation that, if they become successful, they reinvest some of their fortune? Yes, absolutely. Experienced entrepreneurs know what’s involved in starting and growing new businesses and have an appetite for risk. But it could take years to achieve this in sufficient numbers. In the meantime, should we use some of that scarce resource to encourage more HNW women (entrepreneurs or not) to become angel investors? Again, yes! The evidence is that when more women invest, more women get funded. I would argue that focusing on this side of the equation gives us more bangs for our buck and much faster. So, back to my original question: do you need to be an entrepreneur to be an angel investor? I’m meeting smart and savvy angels all the time who come from advertising, the City and professional services who are adding huge amounts of value to their investments. I would argue that being entrepreneurial is much more important than being an entrepreneur. That far from bringing dumb money, HNWs with corporate backgrounds bring vital skills, experience and contacts – not least back into a valuable corporate customer base. But maybe being an angel investor makes us entrepreneurs after all? As Prof Rob Wiltbank clearly articulated in his presentation: angel investing IS entrepreneurship, rather than a financial class. With Angel Academe, I’m working hard to create a group with a wide mix of skills and experience. From entrepreneurs through to senior professionals, technologists, experienced angels and people just starting out. Each brings a different, but equally important, perspective and everyone is invited, although not pressured, to give an opinion and contribute. The group is designed specifically to appeal to women, although men are very welcome and do attend, and while we’re clearly focused on funding the very best deals to maximise financial return, we like to support female entrepreneurs whenever we can. Before I sign off, I’d like to thank the UK Business Angels Association for an excellent event and the opportunity to debate a subject that’s very close to my heart with such a good group of people. Hopefully by next year, we’ll have changed the ratio for the better!